UPDATE: It has happened, as we hoped. The FCC has adopted what it refers to as “Strong, Sustainable Rules to Support the Open Internet.” The vote was along party lines as we all knew it would be, and it forbids paid prioritization while classifying Internet providers as common casrriers, meaning they are now utilities like power and water and subject to severe regulations. You can read the statement from FCC chairman Tom Wheeler here, from Commissioner Jessica Rosenworcel here, and the formal announcement about the new rules here. So what does it all mean? ISPs like Comcast, Verizon, Cox, and Time-Warner will not be allowed to throttle speeds to legal data, block access to legal sites, charge certain services more to use their lanes (paid prioritization), and they also have to let the FCC know about their network management practices ensuring everything they are doing is on the level. Unlike the previous rules passed in 2010 and shot down by the Supreme Court,these new rules apply to wireless carriers as well. VoIP (Voice Over IP) was less affected. This is a landmark day, a watershed day, the Internet version of the fall of the Berlin Wall. The cable companies have acted blatantly and arrogantly in their quest to provide inferior service for more and more and more money. On the other hand, you had better believe that lawsuits will happen, and regulation could severely backfire. We have water and power regulated, which in effect makes them monopolies, the very thing we’re trying to stop here. Still I’m cautiously optimistic and have high hopes for the future of our Internet here in the United States. So many countries are so far ahead of us in terms of Internet access, speed and cost, and now maybe we can catch up. The stories of the cable companies’ customer service nightmares alone made me think these extreme steps were necessary, never mind their obvious desire to be monopolies. Let’s all keep our fingers crossed. This could be a great thing, or with all this new regulation and government involvement it could work out very, very badly. Of course, the regulations are only 8 pages long, so that bodes well. It’s such a huge story, such a monumental event that all news sites are covering it as a main headline. More from Ars Technica, CNN Money, NBC News, CBS News, CNet, Network World, Engadget, PC World, The Verge, TechCrunch, and an interesting take from the MIT Technology Review. Even the BBC over in England is talking about it! For a very long time now, months and months and months, we have been waiting to see what the FCC would do regarding Net Neutrality and Internet regulation. We went from thinking Tom Wheeler was the equivalent of a dingo babysitting an infant to the champion of a free and open Internet. Frankly, many of us were shocked regarding his seeming willingness to work on behalf of consumers and the free passage of data, considering he used to be a cable industry lobbyist. Of course, for all we moaned and carried-on about how the Internet should be considered a utility and ISPs should be common carriers and Title II, when it seemed like those things might actually happen, everyone went the other direction asking if those were really the best means to maintain a free and open Internet. We have the Republican members of the FCC – Ajit Pai and Michael O’Rielly – mocking the apparent plan proposed by Tom Wheeler, along with one Democratic member, Mignon Clyburn, adding some monkeys into the wrench. We’re never happy, and the powers that be can’t win. Well, today is the big day. 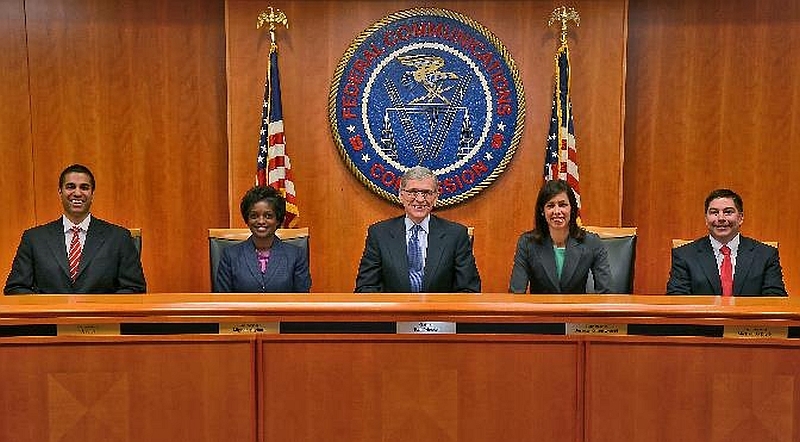 The FCC’s decision will be announced today, although it will hardly be the end of the controversy. You can bet that big ISPs (think Comcast, Verizon, and Time-Warner Cable) will instantly file lawsuits, and the struggle will continue. I will update as the news trickles, or more likely floods, out.